Before you pick up the phone to call the aunt with grandma’s famous recipe, consider an option that not only allows for less stress, but enables you to escape from that imminent encounter. You know what I’m talking about, the one where she makes you promise to clean her garage if she does you this favor. Next thing you know you’re spending your only free Saturday discovering mice nests when you’d rather be watching the game. Now that you know what could happen, choose a much more appealing option and cater in some of the most refreshing lobster rolls you’ve ever known. Throughout the calendar year, there are many worthy opportunities to plan and orchestrate an event impressing your boss. We’re not just talking another ugly sweater party (boring…), how about a going away party? Or a bar mitzvah? Or perhaps Labor Day, if you’re feeling particularly spicy. There are multiple occasions in which catering is a perfect option and even anticipated for. Don’t let your peers down, let’s look at some more options that you could potentially exploit for your stomach’s gain. Every business starts small, either with one person or a small group. From there, investors hopefully catch the vision and commit to partnering with them for the endeavor and whatever it holds. Each time a company makes it another year, it’s not just ‘one more for the books’, it’s the success of a thriving dream. We can’t think of a better event to cater for! Our sandwiches are sure to express the individuality of your company, while still catering to a wide variety of palette preferences. Even ornery Agnes. So Timmy is turning 10. Oh, how the time flies. Up until now you’ve always done hotdogs and s’mores with the 10 friends he’s always invited. Fortunately they’ve always been a hit. But this year Timmy is asking for something different, special, just like him (insert doting proud parent). We absolutely agree! Our catering is perfect for birthday parties that are active and need something to grab-n-go. They come with chips and canned drinks that are sure to please even the pickiest of eaters. And truthfully, you were getting tired of hot dogs anyway. Nothing says welcome to our new home that we paid a bunch for, like providing free food for friends and neighbors. Truthfully though, it’s a much better idea than breaking in that pristine kitchen you’d rather swoon over for at least 48 hours.Our lobster sandwiches are the perfect solution to the usual cheese plates and o’dourves, giving your house the home atmosphere you’ve been searching for. Simple, flavorful, and unique, our Maine-ly taste is sure to compliment the friendly occasion. Food is debatably the most important factor in any family get together. Between the repetitive questions, and catching up from the last 20 years of life with people you’ve never met, food is often the only solace you can find. Let us step in and be the relief you need. Our sandwich tray is a safe-haven from unfortunate third-cousin (twice-removed), or that long awaited conversation with your great aunt about her summer knitting endeavors. 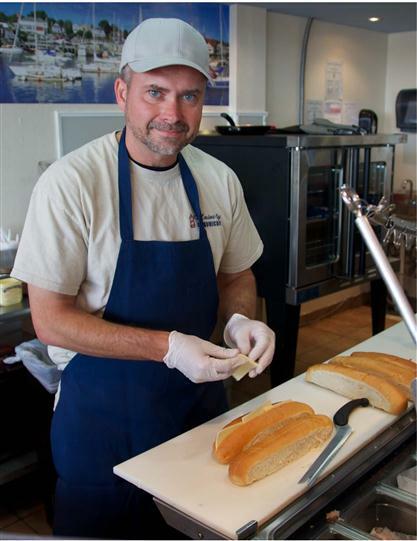 Either way, Maine-ly Sandwiches is prepped and ready for all of it. 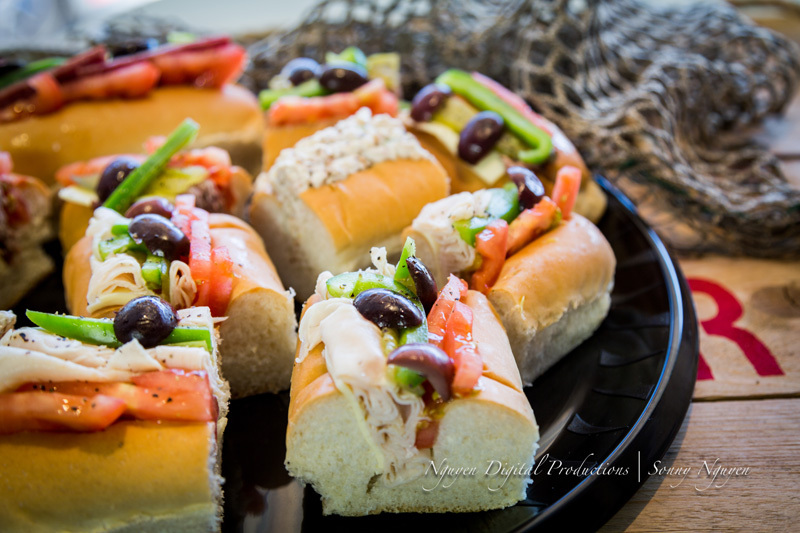 With your choice of any of our Italian sandwiches, our catering tray sets you up for success at any event. We proudly offer an east coast cuisine in the heart of Texas. Whether it’s an event listed above, or a typical Tuesday, we are happy to oblige! Contact us to learn more and schedule your catering services today!